The Granary holiday cottage is perfect for a luxury self-catering break, it is part of a one hundred year old stables and granary just outside of the village of Snainton in the North York Moors. 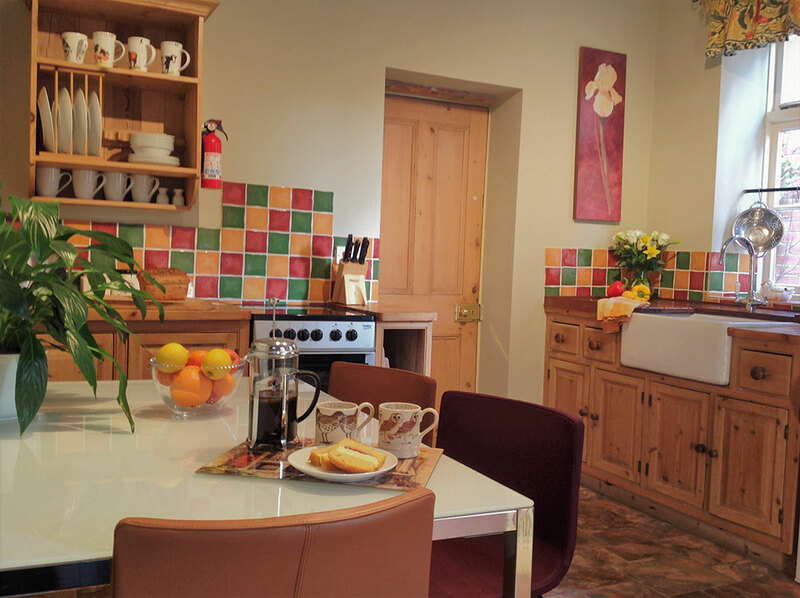 Developed and finished to a high standard, this two-bedroom holiday cottage is all on one level and sleeps up to 4 people in 2 bedrooms plus travel cot. Accommodation: Single level with two steps into the spacious kitchen/diner, welcoming lounge with brick fireplace and open fire. French doors open on to a patio area with solid teak garden furniture and views to the North Yorks Moors. Free WIFI. Bedroom One: Spacious double bed with wardrobe and chest of drawers, beautifully furnished to create a relaxing atmosphere. Bedroom Two: Twin bedroom with wardrobe and shelving, ideal for people who struggle with stairs and little children. Bathroom: Ground floor, with large walk-in shower & monsoon shower head, basin with shaver point and toilet. Both Stables Cottage and Granary Cottage can be easily combined for larger parties, yet can still be very private at the same time. Ideal for both couples, a family and friends. Children welcome. Sorry, no Pets in The Stables Cottage. Situated near to the village of Snainton, which offers a local pub, serving food, restaurant, local shop/garage and children’s play area. Granary Cottage is perfect for walking and cycling holidays, horse riding and sightseeing. Close by we have Dalby Forest and the North York Moors waiting to be explored. Just a short drive away you will find the East Coast, the Victorian seaside town of Scarborough, Filey and Whitby with it’s famous Abbey. Also on the doorstep are the market towns of Pickering, Malton and Helmsley, The Historic City of York and “Heartbeat country” are all within easy reach. Its also just a 5 minute drive to the Wolds and David Hockney country. Towels and Egyptian cotton bed linen provided. Washing facilities on site. Iron and ironing board. Open fire with initial supply of coal and logs. BBQ and use of a large grassy garden. Gravel drive with parking for two cars.